With the 10th anniversary of September 11th being today, there’s been a lot of talk about the events that followed leading up until this day. It’s interesting how a big part of the conversation revolves around what people know about the terrorist attacks, in particular what people of other countries as well as the children here know about those events. Some people were just little children – the would have a very limited understanding as to what transpired. 10 years later, they might be in college now, and still trying to sort out the events of their childhood. For 10 years, Al Qaeda has been a large part of their news, with some of the figures such as Osama Bin Laden as a source of their nightmares. I often wonder if it’s even possible to really convey the seriousness of the attacks to someone who might have been removed from the story, whether it was through age, what their teachers or parents taught then, geography, or access to information. In my mind, I can only compare it to my understanding of Pearl Harbor, which is solely from a historical perspective. Yes, we all hear and understand to some degree that it was a horrible event – a surprise attack on the US troops that were stationed there. 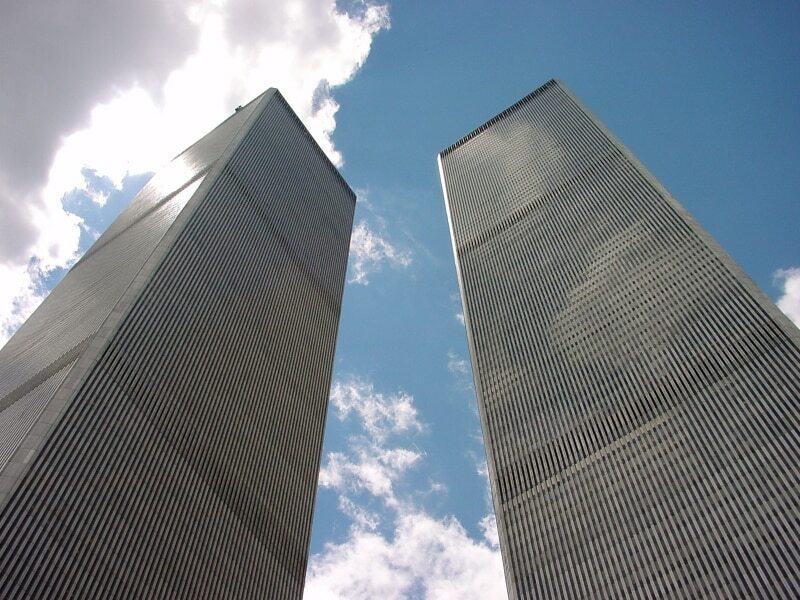 Over 2,400 people were killed, just 200 shy of the number of people killed in the Twin Towers. It launched the US foray into World War II. However, it’s still extremely difficult for me to really empathize with an event that happened so long ago – it’s not to sound shallow or heartless, but something about it doesn’t hit home, and I’m being honest here. There’s very few photographs, movies, let alone veterans that come from that time period which would provide a reminder short of actually visiting the site. I would imagine the people back in the 1941 received their news rather late, and even then it was only through either the radio or the newspaper the next day. I wonder how much the news, and an actual reliving of the events makes it that much more personal. On the morning of September 11th, 2001, I was heading to my freelance job at a Spanish translation and publishing company in Boston’s North End district. The North End is a stone’s throw away from Logan International Airport and Government Center. The company I worked at was located directly across from the Celtic’s Fleet Center, now known as the Garden. Anyone that’s familiar with the city of Boston knows how small and intimate this city really is. It’s a short walk from one end of the city to other that can be made in less than a few hours. Due to the proximity, it was common to be working at my desk, and hear and feel the planes go by. If I stepped outside, I could easily see planes constantly passing overhead with their landing gears down as they made their approach. Many of these planes arrive directly from New York City, which is about an hour’s flight from Logan. Being a Boston resident, you eventually become immune to the every day sights and sounds of the city – the cars, trains, airplanes, and people bustling around with their daily activities.. The day started off like any other day, however I recall stepping out of my apartment at around 7:00 in the morning and looking up at the sky. It was an incredibly beautiful morning – the weather was perfect and there wasn’t a single cloud in the abnormally bright blue sky. Due to the proximity of NYC, the weather is almost always the same as it is over there. I started walking to the the subway at Davis Square, where I’d take the train to Park Street and then head North on the Green Line towards the Fleet Center. I got off the train, headed a short distance to the office, went upstairs, and said good morning to those that were just getting their morning started. I took my CD player out of my bag, put on my headphones to listen to the radio, and started to work at my computer. As my day was starting to pick up pace, I found myself changing radio stations to see if there was anything interesting on. I landed on Howard Stern’s show. I can’t say that I was really paying attention, until I heard an abrupt shift in Howard’s voice which took me off guard. He mentioned that he’s looking out a window, and that one of the Twin Towers are on fire. At this point, I don’t if Howard is serious because his show tends to be full of practical jokers, but I don’t think this is anything that they would be joking around about. Then I hear one of his sidekicks, either Arty or John say something along the lines of, “I know who did this. It’s those Ragheads.” At this point, I know suddenly that they’re not joking around – you can’t just say something like that on television or on-the-air without paying some sort of major price for it. Now, secretly I think he’s overreacting and jumping the gun. I’m thinking that if it is terrorism, we probably don’t know who it is for one, and secondly, how do you launch a “war” in the traditional sense against a terrorist organization? I wasn’t even familiar with the name Al Qaeda, so I’m just thinking that maybe Mike is simply being a “know-it-all” at this point and maybe he’s just name-dropping. I just find it hard to believe that anyone is jumping to conclusions right from the start. As the time goes by, the office is completely quiet except for the radio. Everyone in the neighboring cubes are listening at this point when we suddenly hear terror in the announcers voice – one of the towers has collapsed and people are trying to escape the scene of devastation. We’re all sitting there listening in shock and horror. This woman on the other side of the office, Lulu starts screaming something incomprehensible. I always thought she seemed nice, but slightly imbalanced – maybe it was something about her name (I’m certain that didn’t help), the amount of makeup that she wore, or the short orange spiked-hair. The story pushed her over the edge. As the minutes pass, we hear that the second tower has collapsed. It’s bad enough as-is, but she is freaking out at the top of her lungs. We are all a bundle of nerves now and she’s not helping. Not only are we located right around the corner from the airport, but the Government Center is a couple of blocks away. The stadium and the train stations is right across the street. We are not sure if this is a major attack that’s going to happen throughout the US, or if it’s something more isolated. We don’t know if there’s going to be a gas attack on the subway, or if a nuclear bomb is going to go off. We’re all sitting there anxiously waiting to hear more news – not only are we worried about the people at the towers, but we are now worried about ourselves. There’s no numbers as to how many people are dying – we don’t know if it’s in the tens of thousands. All we know is that it is bad – very bad. So Lulu is going insane, and I had just about enough of it. I walked over to her cube and said, “hey, you mind keeping it down? We’re all trying to listen to the radio and you’re freaking everyone out.” It must have worked, because she was relatively quiet for the remainder of our work day. I felt bad about having said something, but the situation was tense-enough to begin with. In a hurry, she disappears down the hall. As the details start to slowly trickle in, I hear this gut-wrenching scream followed by sobbing. She believes that her family was on one of the flights back to New York City. Unfortunately, she was right. About mid-day, the owner decides that no one is getting any work done, and thinks that it’s probably a good idea that we all go back home for the day. As I head back home, there’s a police presence all over the place. They are directing traffic. The streets were largely and eerily quiet for a normally busy city, and there were no planes overhead. Only the very unusual sound of silence. I decided that it was probably best that I walk over to the MGH t-stop and avoid Downtown Crossing and Park Street just in-case something else happened. A little over a half an hour later, I’m on the train back home, crossing over the bridge to MIT. The train is very sparse, but the few people on it look like they’ve seen a ghost. I’m looking at everyone out of the corner of my eye as if they might be up to something. When I got back, the first thing I did was turn on the TV to see what was going on. It’s one thing to listen to the radio and imagine a horrific scene as it unfolds, but it’s another thing to be able to put an image to it. I picked up the phone, called my parents and girlfriend at the time, and told them that everything was alright on my end. Don’t forget, this is a small city and one of the planes just took off from here – it’s not in the middle of nowhere. Years later, I can’t help but think of how amazing the weather was that day, only to be followed by the contrast of events. I can’t help but think of the woman I worked with – how she used to be so happy, and how many years later when I went back to freelance at the same company, I saw her and it was as if a light was permanently extinguished. A few weeks later, a friend came to visit from Upstate New York. He spent the year living at a Zen Buddhist Monastery up in the Catskill Mountains. He brought along a German friend that was on a retreat at the monastery, and thought it would be fun to show her around the city. So I thought it would be fun too if they came to visit for a few days – we could go out to eat, tour the city, and hit some bars along the way. I know what he was implying. In coming from relative isolation, it would seem like he woke up the next day to what seemed like a totalitarian police state, somewhat reminiscent of the police state Germany went through during World War II under Hitler’s rule. The two of them just gave me what seemed like an empty look. Maybe it was a look of understanding – I still don’t know till this day. The conversation was dropped as quickly as it started. I hear stories of other children around the world recalling the events – most of the stories coming from countries such as Afghanistan where the people there have little access to education, let alone electricity. And then, there’s the adults who often don’t fare better education-wise than those whom they are teaching. What some of these people talk about is how big these “houses” are – the size of mountains that people live and work in, and that a plane hit them. It’s unfathomable in their minds that these “houses” could be so big in the first place. Secondly, some of them probably have problems trying to grasp what the shear enormity of what several thousand people means. Another interesting thing that I hear is that planes didn’t have people in them – that they were controlled by the US government. Last but not least, some of these people “learn” that the US and its allies are in their countries to steal their food and oil, and that Western society is being greedy. Whole groups of volunteers have threatened US interests since then, simply because they are taught being false information, and that their lack of access to education and the media is very limited to begin with. I’ve heard some speculation among some friends who think that the events of 911 were staged by the US government itself – that the whole thing was a conspiracy led by more powerful people. I had one friend telling me that I should go look at a Youtube video that talks about the attacks in greater detail, and how some of the airplanes weren’t in fact airplanes but rather missiles. He also claimed that the planes themselves were controlled by US computers, and that there was nobody in them. The question is, how do you argue with someone that’s already convinced themselves that this is the truth? And the scary part is that this is coming from a few people I consider fairly intelligent and well-educated. Their beliefs are not too far off than some of the lesser educated terrorists who are proposing those same viewpoints to their members. I talked with a family member today who said, “I think it’s time for us to move on. One politician said today that Al Qaeda didn’t succeed in what they were trying to accomplish, that the US is resilient and we stand together.” Unfortunately, I couldn’t have disagreed more. It’s not right for me to tell someone how they should feel, let alone to try understand where they are coming from. I can only recall what my story is – which undoubtedly pales in comparison to what others have had to go through. I can’t even imagine how their lives have changed. 10 years later, the economy has suffered from those attacks, we’ve gone through two wars, and we’re still ever-so vigilant as to how we conduct our daily lives. I personally don’t give 911 much thought on a regular basis – I don’t think it’s healthy nor productive to constantly live in that state of mind, but I think it’s important for us to recognize those who were willing to sacrifice their lives to help others. There’s a big difference in opinions between those people that were “there” that following the events as they unfolded and those that were not. There’s a big difference when you know someone that was directly impacted and lost a loved one. It’s also different for someone living in the “thick” of events – in Washington DC, Manhattan, and Boston versus someone living out on a farm in Idaho. There are those that have direct access to information who still manage to form a difference in opinion compared to the mainstream. I suppose that no matter what, you will always get people with fringe elements of thinking – well-educated or not. In today’s age, many of us have cameras and video capabilities on our cellphones. An earthquake happens in Japan, and a few hours later, dozens if not hundreds of videos are uploaded to the Internet for others to see. The Internet 10 years later is over 100 time faster than it was back in 2001 – information and video is near real-time and everyone can contribute to the news that has some understanding of computers, which is almost everyone here in the United States. It’s so much easier for us to associate ourselves with these events and disasters now, and much harder for us to be removed from them. Children will grow up in this society, and will never know a different world that existed before these inventions. It’s as-if our society moved from the Dark Ages and suddenly discovered the Printing Press. 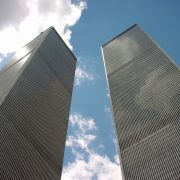 Only time will tell if society looks back 50 years from now, and can truly relive what occurred on September 11th, 2001. I personally don’t think most people will ever be able to understand it completely unless they were there to personally witness the events unfold as they happened.